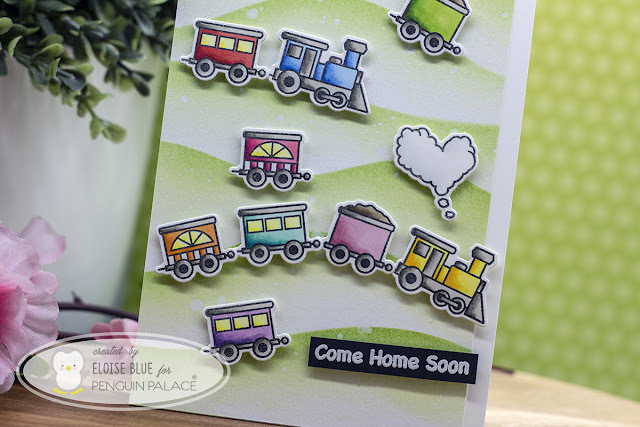 Hi everyone, I'm back again for Penguin Palace today and I'm playing with the new Love Train stamp set. To start off I stamped out all my images and coloured them in with Copic Markers. I then used the coordinating dies to cut them out. 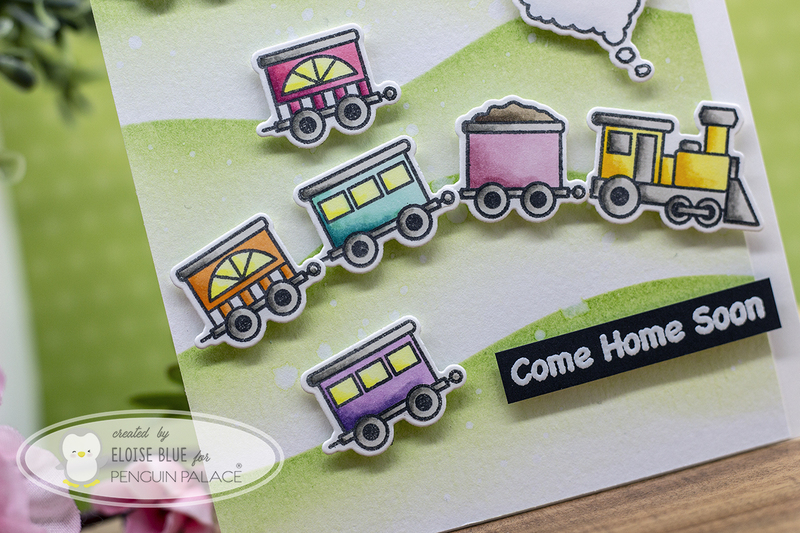 For my background I used a stencil to create the layered hill look. I used Distress Inks in Shabby Shutters and Mowed Lawn. Lastly, I added foam tape along all the backs of my images and adhered them into place. 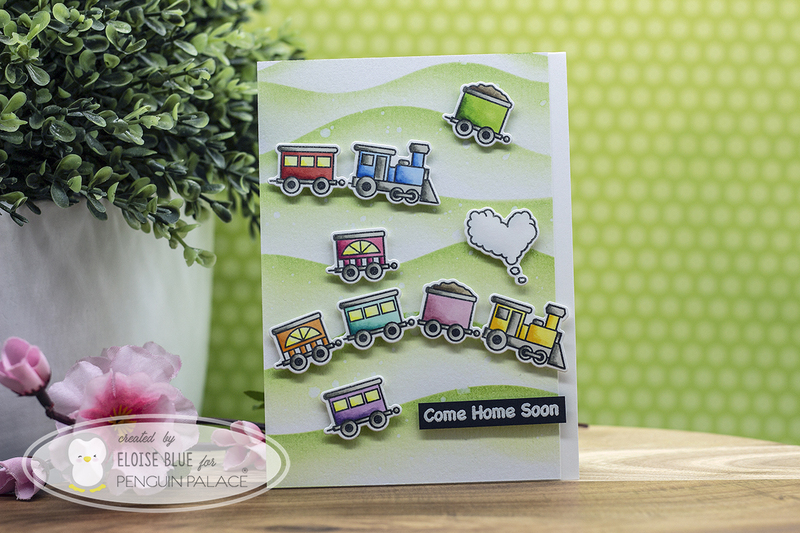 I then white heat embossed the sentiment 'Come Home Soon' onto some black cardstock and adhered that into place as well. Thanks for stopping by today and I'll see you next time.